Ready to use lime inhibitor to prevent free lime egress in new concrete. 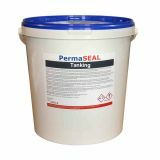 PermaSEAL Lime Inhibitor is primarily designed to prevent the leaching of free lime in new concrete. 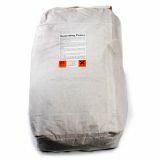 It is often used in combination with the PermaSEAL range of cavity drain membranes and drainage system components as an anti-lime treatment for new concrete. The inhibitor can also be used on walls and existing concrete slabs to treat cut recesses like those created ready for the installation of drainage channels. This ready to use water-based treatment penetrates into the surface of the masonry or concrete, reducing its capillary pore size. The movement of free lime through the surface is dramatically reduced with these narrower pores. The breathability of the substrate is essentially maintained with the PermaSEAL lime inhibitor. The inclusion of silica gel provides additional strength for friable masonry work too. Note: Do not use on fair-faced brickwork or exposed facades. Start by ensuring that all surfaces are clean. They should be free of any previous surface coatings as well as dust and any residue from the cutting operation. On dry surfaces, you will need to assist the coating by fully wetting out the substrate. The surface should be dampened with clean water. Before starting the application, you want the surface to be damp but not wet - any standing water must be removed. You now need to put on protective goggles and gloves for the application and handling of the lime inhibitor. Evenly apply the lime inhibitor to the clean substrate with a course sprayer, masonry roller or brush. You should do so at a rate of 0.15 – 0.3l /m2 in a single coat. Leave to thoroughly dry. 0.2 - 0.3L /m2 depending on absorbency of substrate. 16.5 - 25m2 per 5 litre container. Do not re-apply once dry. Protect non-target surfaces from the inhibitor due to staining - it will be extremely difficult to remove once dry. If you have any questions about stopping lime in concrete, anti-lime treatments or concrete repair products contact our technical team today for free expert advice. Call now on 0117 982 3282.